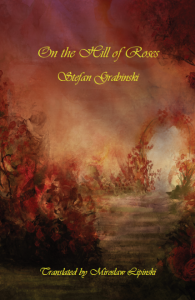 Called â€œthe Polish Poeâ€ Stefan Grabinski (1887-1936) was a prolific Â writer of dark fantastic fiction, author of six collections of short stories and four novels. Scarcely acknowledged outsidePoland, Grabinskiâ€™sÂ work saw its first printedÂ appearance in the EnglishÂ language in 1993, thanks to the translation by Miroslaw Lipinski, when Dedalus Press published theÂ excellent collection â€œThe Dark Domainâ€. Now Hieroglyphic Press has supplied the English Â version of Â another of Grabinskiâ€™s collections â€œOn the Hill of Rosesâ€ first published in 1919, again translated by theÂ invaluable Lipinski. The volume itself is a delightful object for book lovers (a beautifully produced hardcover edition with a wonderful cover design by Eleni Tsami) and, as for its content, a treasury ofÂ Â evocative, elegantly written, unsettling stories. Of the seven tales included, four have particularly impressed me. The title story â€œOn the Hill of the Rosesâ€ is a veryÂ atmospheric piece with a fascinating dream-like quality and a slightly horrific ending, while â€œAt the Villa by the Seaâ€ is an intoxicating, uniqueÂ medley of crime, supernatural events and romance, revolving around the untimely death of a young, talented poet. In the sinister but magical and intriguing Â â€œShadowâ€ strange shadows on a window curtain reproduce for ever the scene of a tragic murder remained concealed for a long time. Dark shadows emanating from the ruins of an old monastery also appear in â€œProjectionsâ€, an extraordinary gothic piece which, in the form of a disquieting diary, reveals a past story of blasphemies and sins Â taking place within the sacred walls. 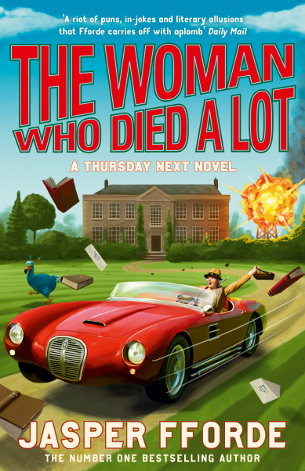 I cannot recommend strongly enough this offbeat, excellent book which provides the reader with the rare opportunity to make the acquaintance of an exceptionally interesting author still largely unknown in the Anglophone world.